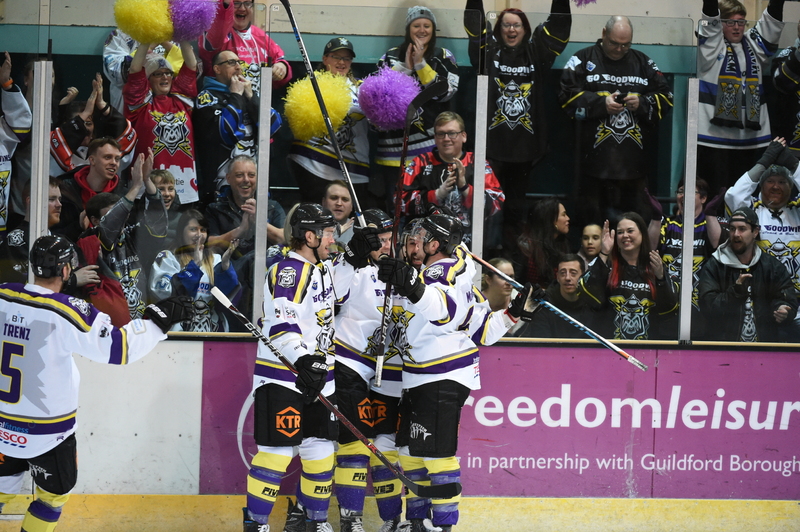 REPORT: Storm make it 9 wins in a row with 4-3 win over the Flames! 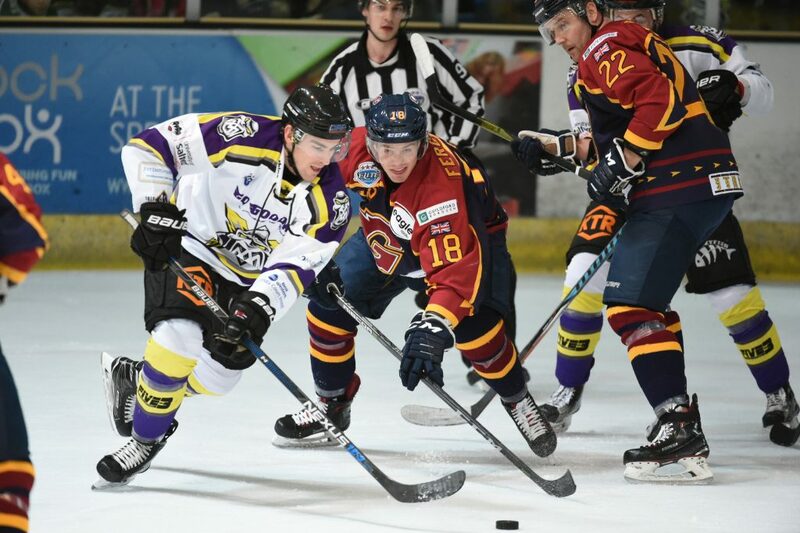 TICKETS: The Go Goodwin’s Manchester Storm welcome the Cardiff Devils on the 24th February 2018 at 7:00 pm, in a 1st vs 2nd match here at Planet Ice Altrincham in Elite League action! Tickets can be ordered online, by calling the box office on 0161 926 8782, or in person at the box office. 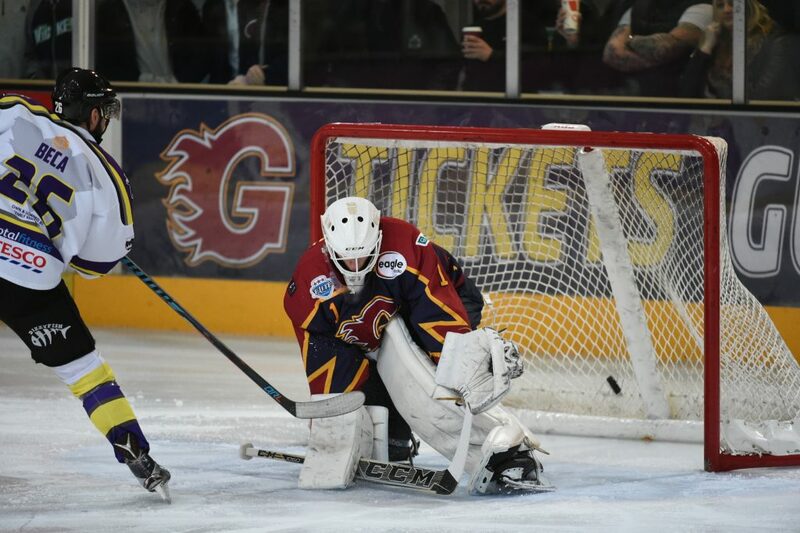 Your Second placed Go Goodwins Manchester Storm extended their winning streak to nine games on Sunday night, but needed a shootout to get past the Guildford Flames. Matt Beca provided Storm with the perfect start, when he found the back of the net after just 95 seconds, before Dane Byers added a second goal, with the Storm on the power play, in the fifth minute. A goal from Luke Moffatt just over two and a half minutes into the second period looked to have put your Storm well and truly in the driving seat, but Guildford had other ideas, with Ian Watters grabbing the Flames 1st in the 12th minute, before Mikael Lidhammar bagged a short-handed goal just under two minutes from the break. While both sides had chances during the final period, it was the Flames that grabbed the only goal of the period, with Kruise Reddick tying things up with just over three minutes left in regulation. With neither side able to settle thing in overtime, the game moved to a shootout, and Mike Hammond proved (once again) to be the hero after he scored all three of his attempts to claim victory for the Storm. 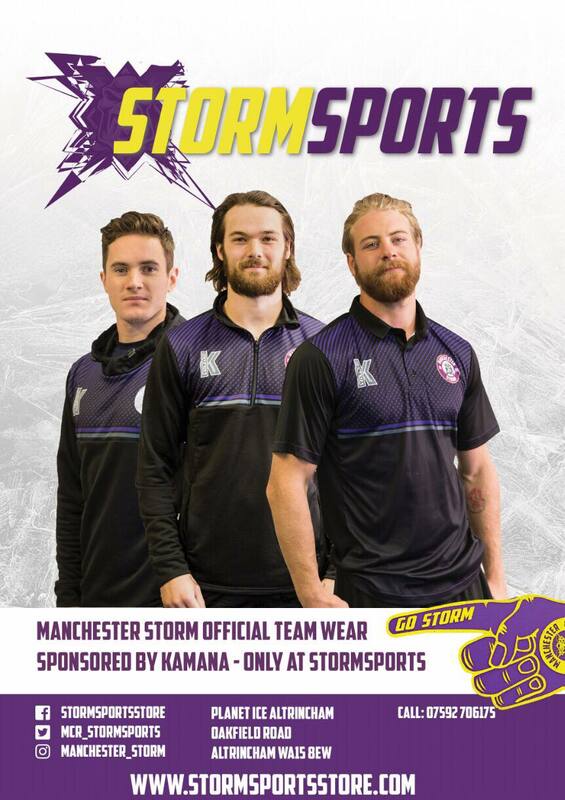 Storm now look ahead to Saturdays HUGE game against the Cardiff Devils, in a 1st vs 2nd top of the table clash at Planet Ice Altrincham, faceoff at 7pm!